Staying well hydrated is a key component to maintaining your health and well-being. Here are some strategies to make sure you’re getting enough fluids on a regular basis. Staying well hydrated helps keep your body running efficiently. You may have heard that you should drink eight glasses of water a day, but that’s really just a ballpark. It will vary from person to person, but you can use that as a guideline and determine your needs from there. Here are some things to keep in mind when it comes to hydrating your body. 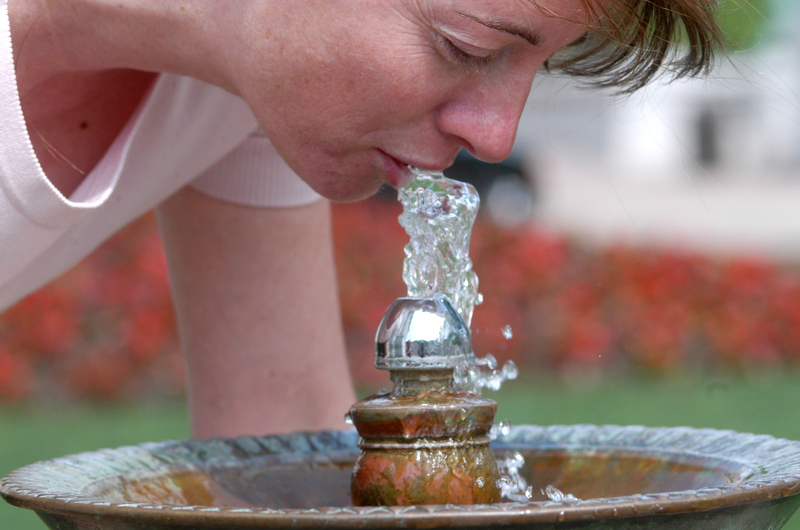 By the time you actually feel thirsty, your body is already dehydrated. So it’s best to keep water on hand all the time, so that you sip regularly throughout your day, staving off that point where you feel parched. Juice, soup, herbal tea and some foods (think grapefruit and cucumber to name just two — essentially, any food with a high water content) all contribute to your overall hydration. Coffee and alcohol, however, do not count towards your hydration, as they both dehydrate your body. Water is the best choice when it comes to hydration, because it has no calories. If you’re regularly drinking juice and soft drinks you’re consuming a lot of sugar (mostly empty calories!). If plain water is not for you, try it with a slice of lemon or lime to give it a bit of flavour; or, keep a pitcher in your fridge with a few berries or cucumber in it, again to impart subtle flavour and extra refreshment to the H2O. If it’s the fizziness of a soft drink you’re a fan of, get a product such as the SodaStream, which transforms regular water into a fizzy, carbonated beverage. Before you flush, check the colour of your urine — the shade of your pee is a good indicator of how well you’re hydrating yourself. Ideally, it should be the colour of pale straw. If the bowl is filled with deep canary-yellow pee, this is a sign you need to drink more than you do. But practically clear urine is not necessarily healthier than the pale-straw colour — it may actually be a sign of other issues (such as diabetes). If you’re concerned, see your doctor.